All paint jobs are not created equal. Modern factory finishes incorporate multiple layers of highly specialized paints applied in a very specific manner. At ABI we go above and beyond to provide the highest quality product to our valued customers. 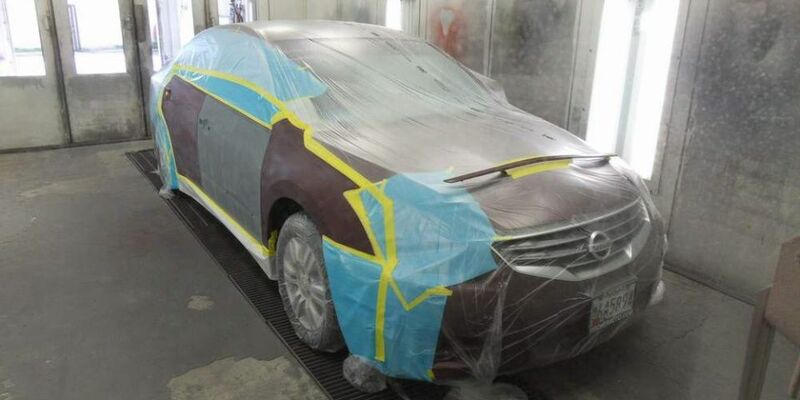 We have made major investments in the most state of the art paint systems and constantly acquire new technologies and upgrades in support of the very best in professional automotive painting. Our painting and finishing team takes particular pride in matching factory finishes while delivering better than factory durability. All our technicians are required to participate in on-going training programs and strive to keep their skill set current with the latest industry advancements. You will not find another team more skilled or more committed to quality and customer satisfaction.